Tree Services Annapolis not only provides tree services but also landscaping and lawn care services in Annapolis, MD. Besides the immediate Annapolis, Maryland area, we also cover the rest of Anne Arundel County. We are proud of our competitive lawn care prices and would appreciate a chance to come out and give you a quote on your property. It can make all the difference in how your property looks and is one of the first things people see. We vary how often we cut depending on time of year, temperature, rain, type of grass and other factors. Besides cutting frequency, these factors also determine the height at which we cut the grass, and in some cases the pattern. We keep the blades well sharpened to get the best results. In addition to lawn mowing, we will edge and trim where it is needed. Especially in the fall, a covering of leaves on your lawn can smother the grass and kill it, leaving dead patches. We can come anytime to get your leaves and also pick up sticks or any other trash or debris. We can provide any yard services you need. The key to this is a soil test. A lawn treatment service without a soil test is like flying blind. Although generally soils are too acidic and you need lime to make it more basic, this isn’t always the case. You may need it more acidic or there may be other micronutrients that are missing. We can also treat for weeds that have crept into your lawn and then spot treat as needed to keep your lawn looking pristine. A common lawn care treatment is for grubs. They eat the roots of the grasses which is a problem in itself, but then they also attract rodents which eat the grubs but further damage your lawn or garden. 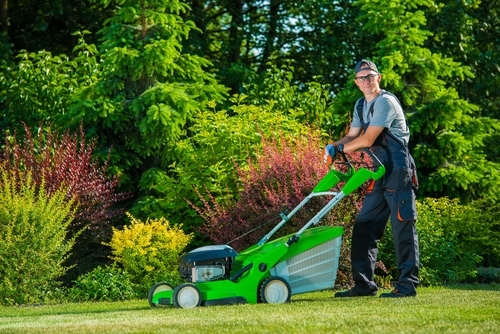 ​Aeration takes plugs out of the lawn and allows the roots to grow and breath and creates a healthier lawn. You can then seed bare spots in the lawn and over-seed to get a thicker, lusher lawn where there is already grass. ​This is for new lawns or commercial sites where the soil needs to be stabilized. 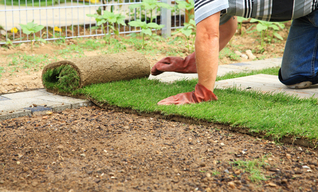 A mixture of mulch and grass seed is sprayed over bare ground to hold it in place and get something growing quickly. ​Mulching – We can weed and then put mulch in a flower or shrub bed, or we can come back and remulch where it needs freshening. We can edge and keep the bed and grass border neat. Mulch helps prevent weeds in addition to giving a clean look. 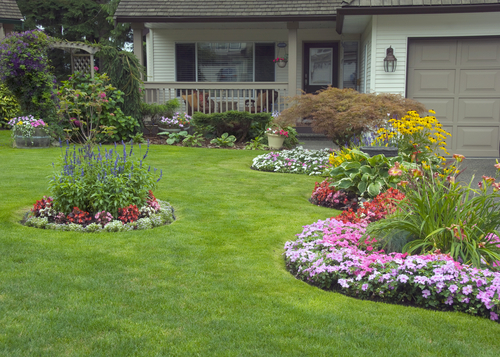 Annual Flower Rotation – Although not exactly a lawn service, we provide other services to keep your yard and property looking pretty. This includes rotating in flowers at the times of the year where they will be blooming. If you are in SC we recommend Lawncare Rock Hill. Give us a call if you are anywhere around Annapolis, MD, Edgewater, Arnold, Severna Park, Edgewater, Parole, Sherwood Forest, Mayo, Davidsonville, or anywhere else in Anne Arundel County. 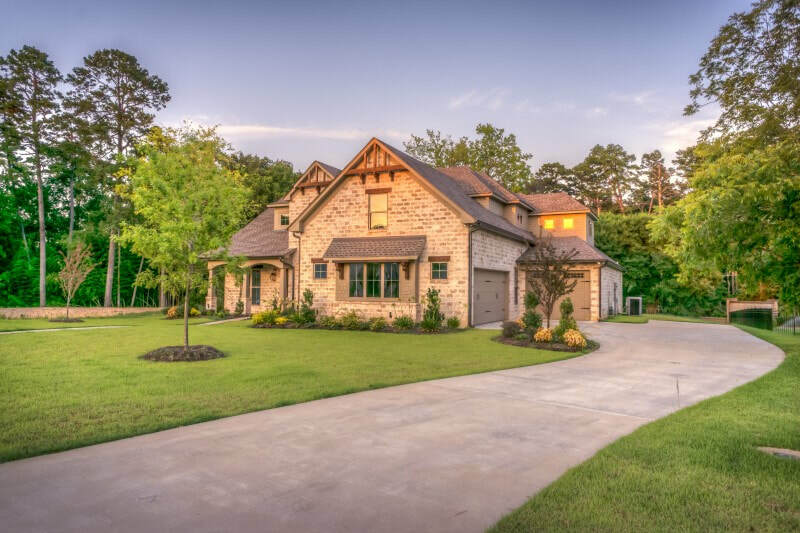 We believe you will find our gardening, yard and lawn services to be top notch and our lawn care prices to be very reasonable.